If you are planning to climb Mount Kilimanjaro you will sooner or later hear about altitude sickness. For those unfamiliar with the ins and outs of altitude illness, here are answers to the most common questions regarding mountain sickness. The body can adjust to the reduced air pressure at higher altitude, but only at a rate of about 300 m (1000 ft) altitude gain per day. If you ascend faster, and everybody climbing Kilimanjaro will, then you may develop altitude sickness. The symptoms of AMS are headaches, loss of appetite, nausea, vomiting, sleeplessness, fatigue, dizziness. Everybody can expect to experience at least some of these symptoms in a mild form. HACE becomes apparent as a lack of coordination, inability to walk in a straight line, confusion and irrational behaviors (to the point of not acknowledging the symptoms). HAPE and HACE are potentially fatal! Make sure that you always remain in contact with your guides and let them know exactly how you are feeling. Also keep an eye on your climbing partners, since people suffering from these severe conditions may not be able to correctly assess their own condition. But please don’t panic now. As I said above, these conditions are extremely rare, provided you act sensibly when on the mountain. Susceptibility to altitude sickness is random. Fitness is no protection. People who are extremely fit and exercise a lot get it just an easily as couch potatoes. There are many stories that indicate they may be even more susceptible! Symptoms of acute mountain sickness typically take one or two days to disappear. If you keep ascending they may not go away. For most people the symptoms come and go during the day, disappear overnight, only to come back the next day as the climb continues. AMS can be very unpleasant, but with the right preparation and at a sensible pace, most people can climb to at least the last camp below the crater rim (around 5700m). It’s that last push to the summit where AMS becomes the make it or break it issue. You climb Kilimanjaro with knowledge that every detail of your trip has been designed by one of the professional mountain guide and high altitude experts. 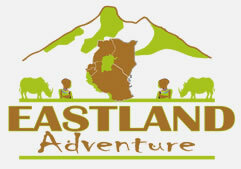 Your safety is our paramount concern on your Kilimanjaro trek. You leave home with the comfort of knowing that during your trek all you have to worry about is putting one foot in front of the other. We take care of the rest. Twice a day our guides perform a through health check, using their specialized High Altitude Medical Paper and conjunction with pulse-ox meters. Regular medical checks help keep your motivation and our guides can determine your condition.